One of my very favorite breakfast food is muffins. If you add cheesecake to any muffin then I am in breakfast heaven. These Blueberry Cheesecake muffins are super easy to make with simple ingredients. You can substitute the blueberries for fresh or frozen. You can even use leftover cranberry sauce from Thanksgiving. That is one of the best ways I can think of to use leftovers! Do you have a go-to muffin recipe? Combine dry ingredient, then add. 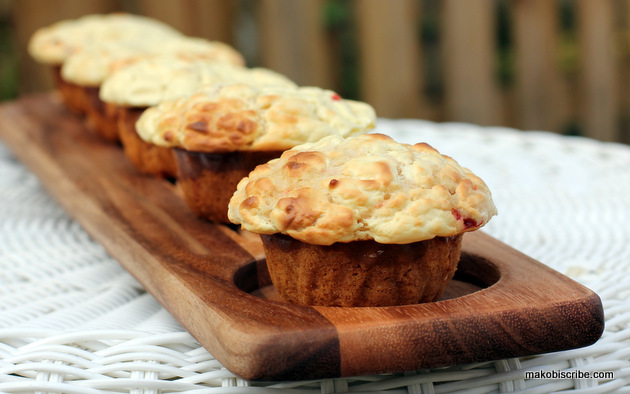 Fill the greased muffin tins ½ way. Bake at 375 degrees for 40 minutes or until cheese cake topping has set. I have some left over blueberries and raspberries from making cupcakes. These would be great to use them in! You are going to become my delicious blogger! These look so good! They look great and sound like heaven. I think I even have everything in the house to make them right now. These look simply delicious. I love the muffin tops. I can almost smell them. Great photos!